TICKETS FOR THIS EVENT ARE NO LONGER ON SALE. If you would like a copy of A SPARK OF LIGHT, feel free to order below! 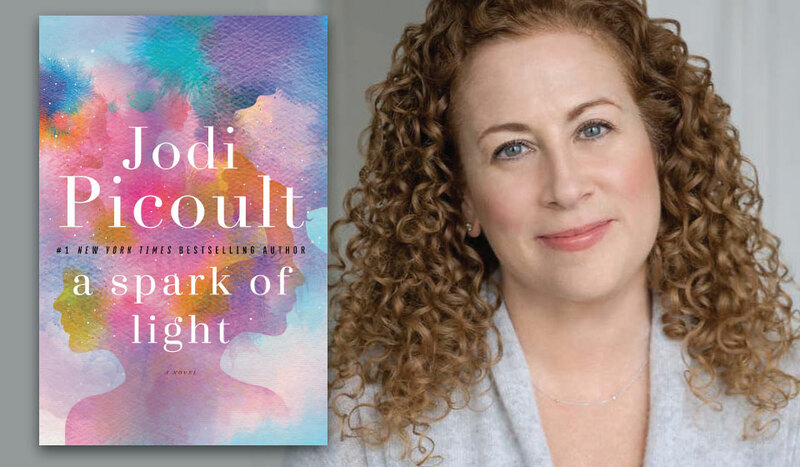 Jodi Picoult is coming to Dallas to sign her new novel! She will be presenting A SPARK OF LIGHT at the Adolphus Hotel in downtown Dallas on Sunday, October 7 at 2pm. Doors open at 1pm. Each ticket comes with a signed copy of A SPARK OF LIGHT. Books will be available for pickup at the event. Please note, there will be no book signing at the event. All books will be pre-signed. However, after the Q&A wraps, a professional photographer from GH Prime Media will be on-site to take photos of Jodi with each guest. Photos are free of charge, and will be downloadable via a link that night. You can pick your ticket up at the bookstore, have them mailed to you, or retrieve them from the will call table at the Adolphus. TICKETS FOR THIS EVENT ARE NO LONGER ON SALE-- this is a copy of A SPARK OF LIGHT without a ticket. Signed copies of A SPARK OF LIGHT may be available after the event on Sunday 10/7. If you would like a signed copy, please write in the comment field of your order "Signed Copy." Signed copies will be available on a first-come, first-serve basis.